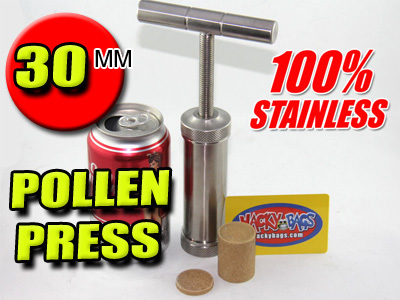 Now filling the 10mm Pill Press is easier and mess free! Fill any small container or Press with ease with the Stainless Steel Funnel, Great for perfume bottles, spice jars, crafts, paint. 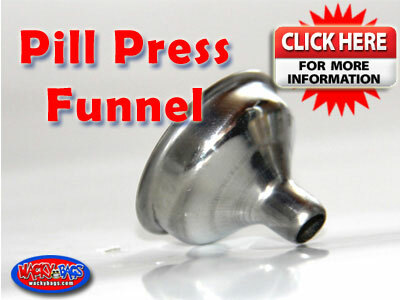 Don't waste you money on cheap aluminum or plastic funnels. 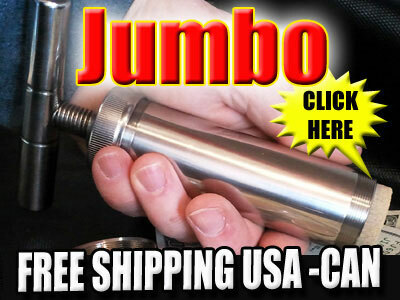 Stainless steel is dishwasher safe, food safe, and durable. 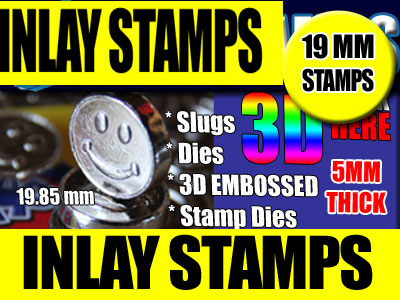 Find your 19.90 mm stamps here! Personalize your Pollen or Hash pucks with a 3D embossed image. These double sided 3D embossed dies are made from hardened steel built to withstand pressure, heat and constant use. The Embossed design will leave 3D imprint in your pill, tablet or hash puck. Now available in 15 unique designs. 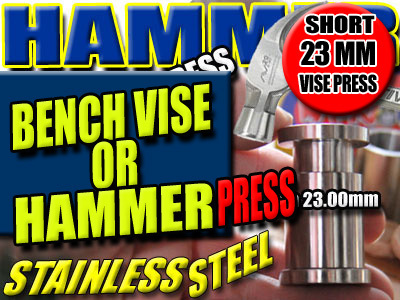 These stamps are 5 mm think with a Diameter of 19.85mm and will fit the 19.90mm Hammer Press, Wacky Press, Impact Press and Mini Stainless Steel Press. 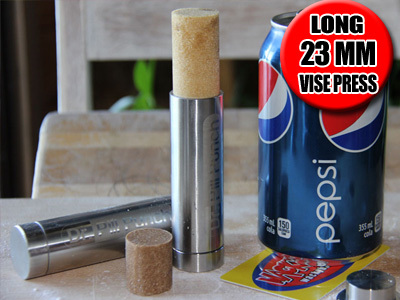 Now you can make compressed pucks in seconds without cranking! Dr. 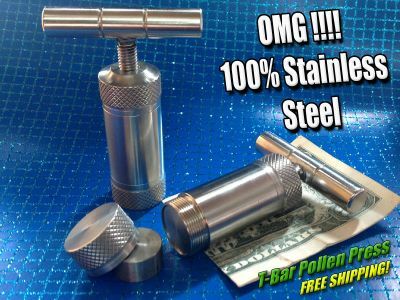 Pill Punch is made out of 100% stainless steel and is totally dishwasher safe and food safe please be aware that aluminum Is not food grade nor is it dishwasher safe. 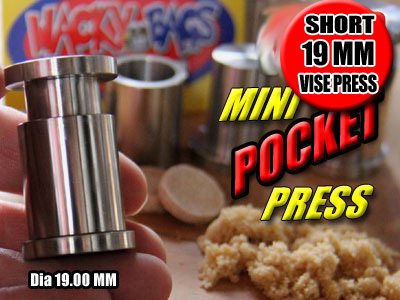 This 3 piece set at comes with stand, tube and the rod making it easy to make pills. 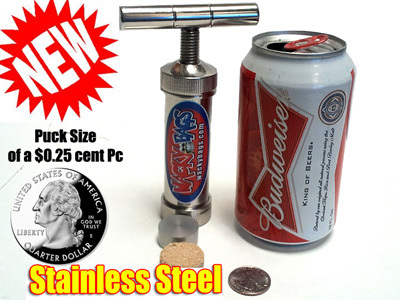 All you need is a hammer to compress your Bubble Hash into Puck form and a wood block to work on. 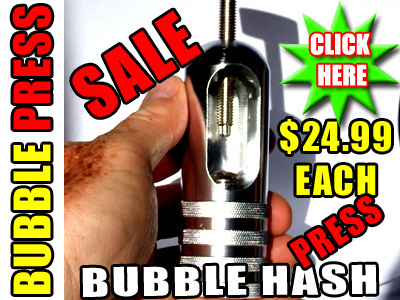 You can make hash pucks from your bubble hash or dry keif in a flash ! ! 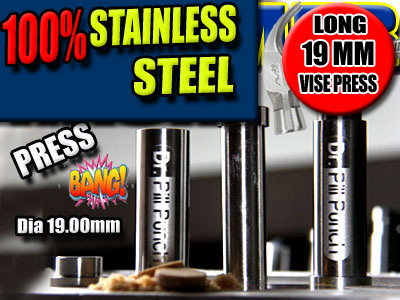 Made from 100% 304 Stainless Steel. 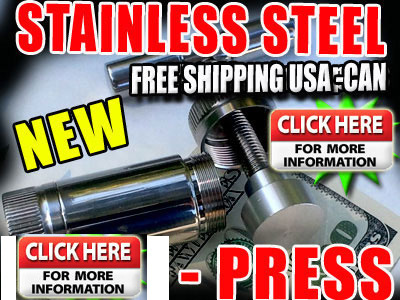 NO Aluminum parts!! 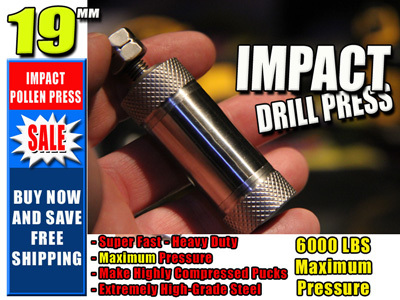 The Impact Press is food safe, Heat resistant, Dishwasher Safe. Attach Press to an Impact gun or Cordless drill to compress your pollen without needing to Crank a handle.